Monira Men joined the HFCA youth academy as a young boy. He was always committed, trained hard and, after attending the Homeless World Cup in Italy, he said "After playing for my country in Milan I now want to be a professional footballer". 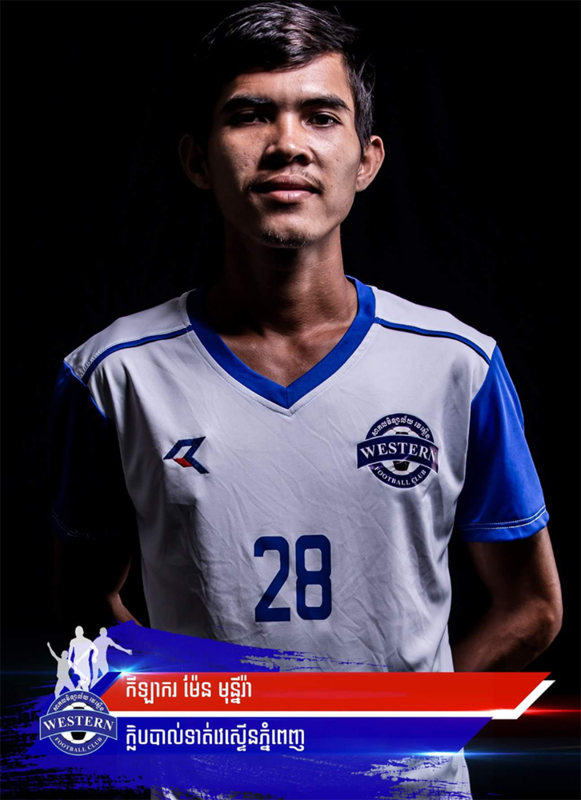 Monira Men in his official Western Phnom Penh FC team home jersey. Picture Supplied. Lots of young boys dream of a career in football. Very few make it. Monira worked harder than everyone else. He never gave up. 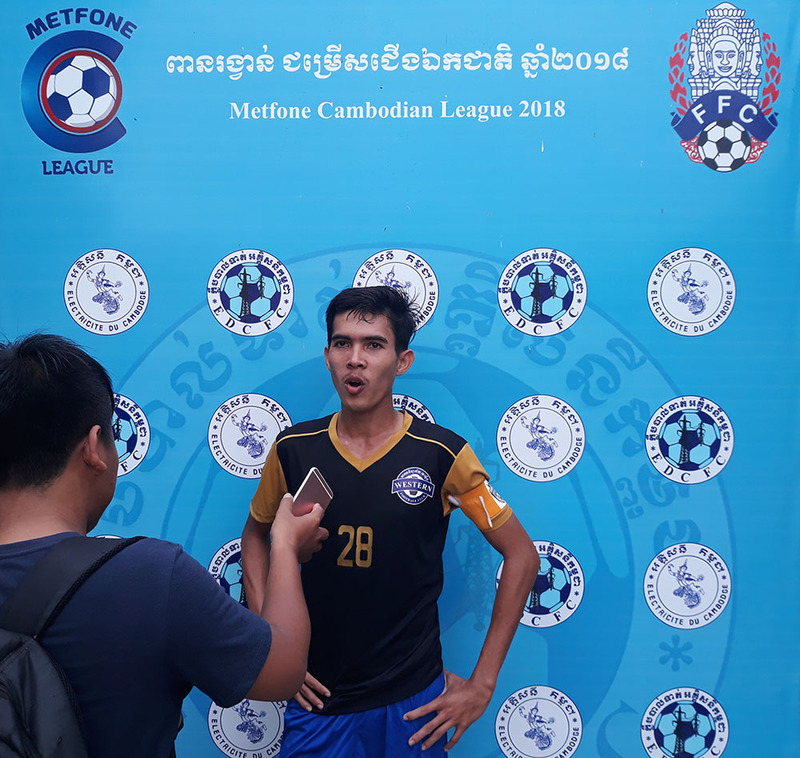 Recently he captained his team Western Phnom Penh in a Cambodian Premier League game against his old team EDC FC. It was a proud moment for him and all the HFCA staff to see him lead his team out. After the game Monira said "I very sad we lose the game but to be given the honor of been Captain is a great feeling. I know the coach believes in me. In our next games, I will give 100% for my team." Monira Men is strong on the ball and likes to attack. In action for Western Phnom Penh against Army FC in the Cambodian Premier League at AIA Stadium. Picture Supplied. Monira Men (back row far right) with his Western Phnom Penh teammates before a Cambodian Premier League game. Picture Supplied. When not busy being a professional player he comes to our HFCA Academy in Phnom Penh and runs coaching sessions or talks to the younger players. Having come from one of the poorest neighbourhoods in Phnom Penh he knows and understands their world. They see him as real proof that been from the wrong side of town is not a barrier to success. Monira is interviewed after recent Western PP game against EDC FC by PNN TV reporter Kanal Rous. Picture P Grogan. Monira transferred from Cambodian Premier League team National Defence to Svay Rieng FC. 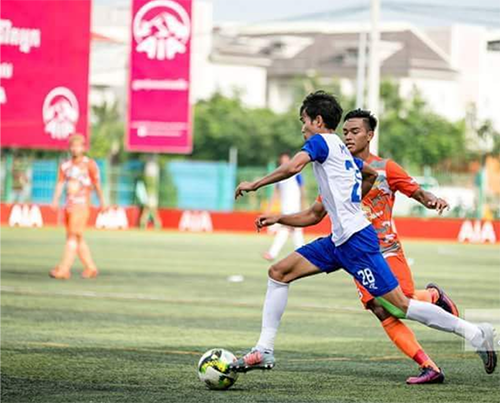 Monira starring for Western Phnon Penh FC.